Open Floor International was created by a number of seasoned dancers and teachers of movement mediation practices, conscious dance and many other embodiment practices, like somatic psychology. 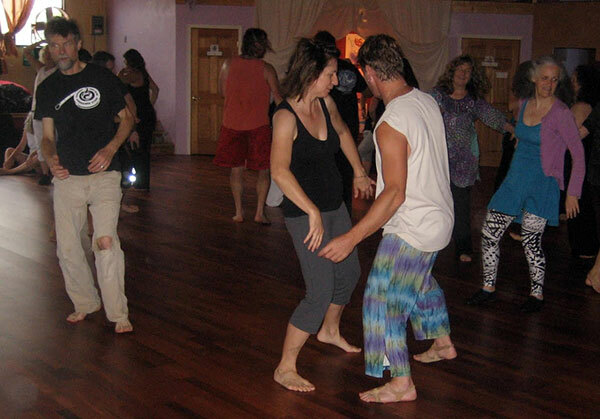 They came together to form the Open Floor school that teaches embodied movement meditation and conscious dance. Christine is a teacher with Open Floor International (OFI) and teaches Open Floor Encounter and Libido Fundamentals, among other Open Floor workshops. Open Floor International (OFI) has developed a curriculum, a framework within which to explore what it means to be an embodied being, using a wide range of exercises, music, movement, reflections and inquiries. What is it to be embodied physically, emotionally, mindfully and spiritually? How do we take in the information that we are 100 percent relational beings and have basic hungers for different kinds of relationship? OFI explores 4 realms of relationship, the 4 hungers: the hunger for solitude, connection, belonging and spirit.There's an essential movement language everyone speaks on the dance floor. All moving practices call on universal elements that are inherent in any moving body: breath, gravity, centering, expansion and contraction and grounding. Open Floor International and all embodiment practices share these explorations. 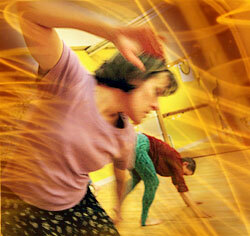 For more information on Open Floor classes, workshops and training worldwide, go to www.openfloor.org. There is only you, only Self, only limitless Emptiness, only Consciousness.